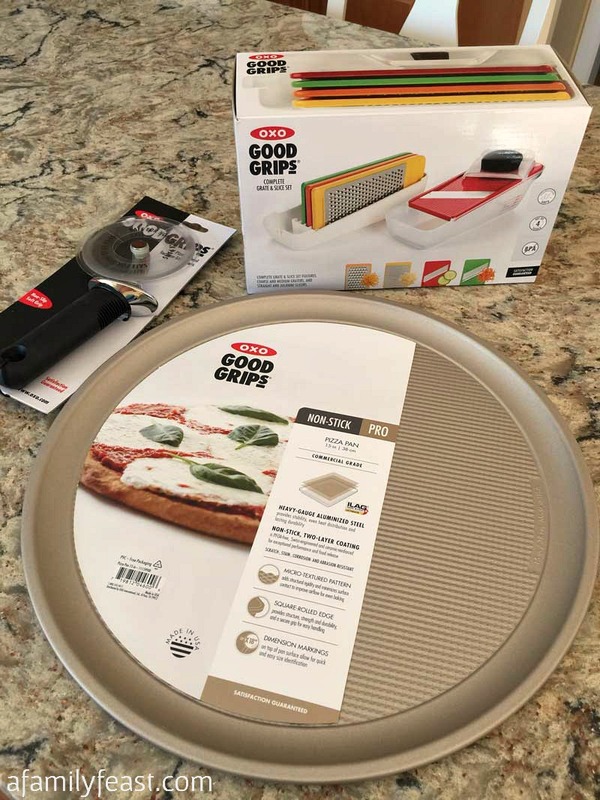 We received a complimentary set of OXO pizza tools for review purposes. All opinions are 100% mine. Ever since last summer, we’ve been more than a little obsessed with this white barbecue sauce recipe. We’ve been putting this zesty sauce on chicken, ribs, sandwiches, and now – pizza! 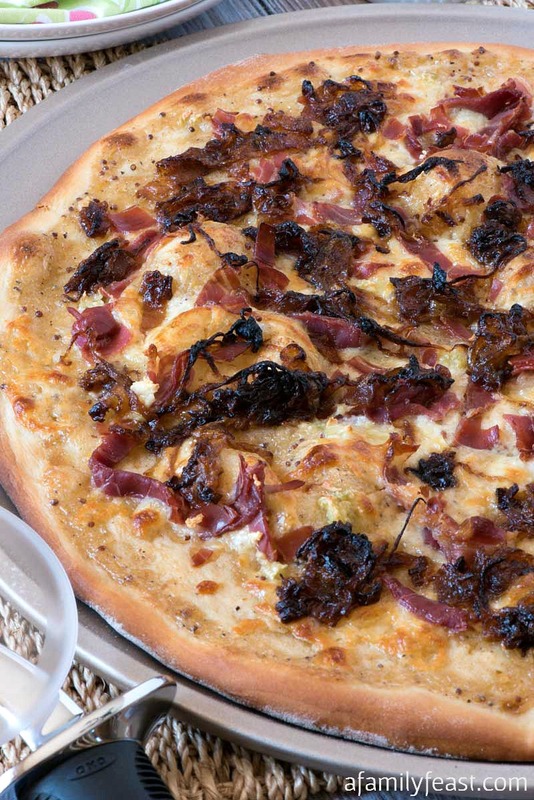 I tell ya – this White Barbecue Pizza with Prosciutto and Caramelized Onions is truly epic! Jack and I have been talking for a while now about creating a pizza recipe using our white barbecue sauce in place of our favorite pizza sauce. Then a few weeks ago, we ate dinner at our local Bertucci’s (an East coast-based brick oven pizza chain), where I ordered their Pizza Nolio – a white pizza with strips of salty prosciutto and sweet caramelized onions on top of a creamy sauce. 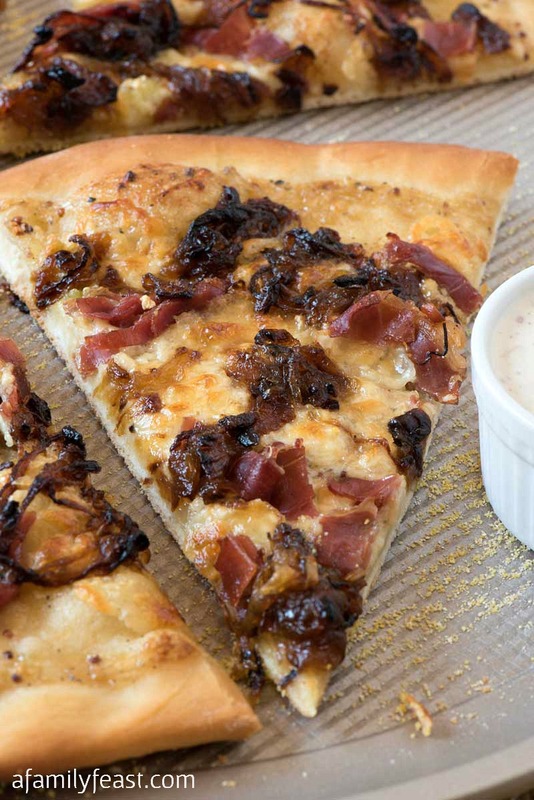 And that was it – flavor inspiration for this fantastic zesty, salty-sweet, addictively good White Barbecue Pizza with Prosciutto and Caramelized Onions! But dare I say – thanks to that white barbecue sauce – our pizza is even better than the Nolio! 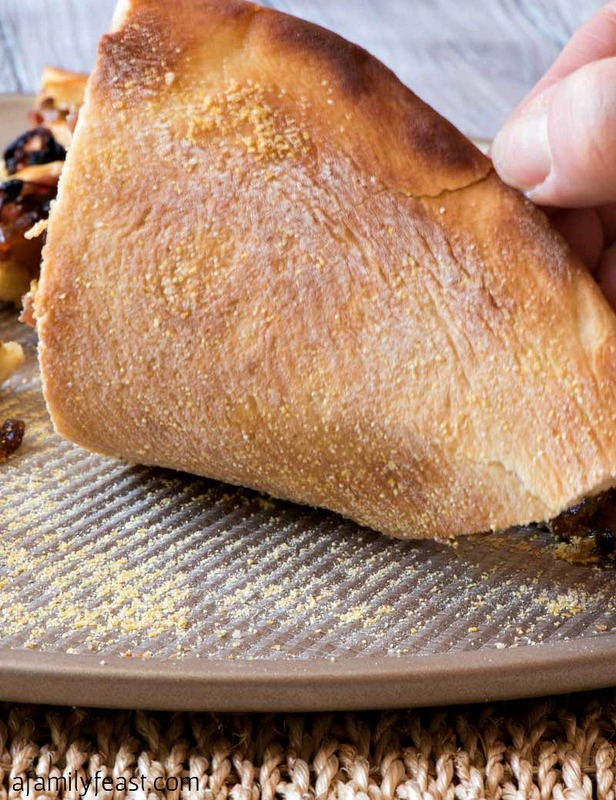 And – as if destiny was aligning the stars for this new, awesome pizza recipe to come to fruition – our friends at OXO invited us to create a homemade pizza using some of their great pizza tools and gadgets. 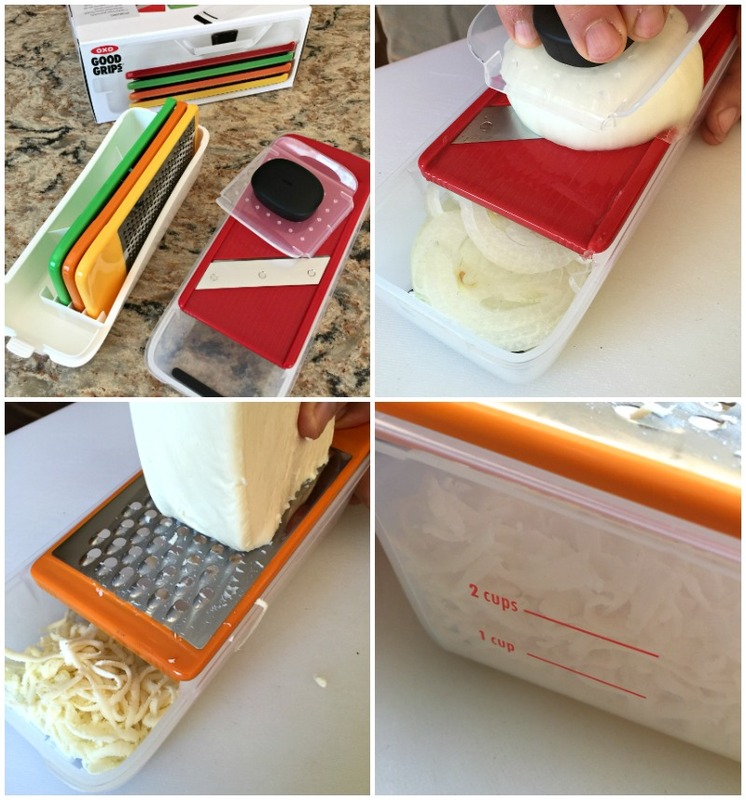 First, we sliced some onions and grated cheese using the Complete Grate & Slice Set from OXO. It includes interchangeable coarse and medium grating, and straight and julienne slice surfaces, that snugly fit over a container for both collecting and measuring. We love this set – and I can see us using this convenient tool all the time in our kitchen. 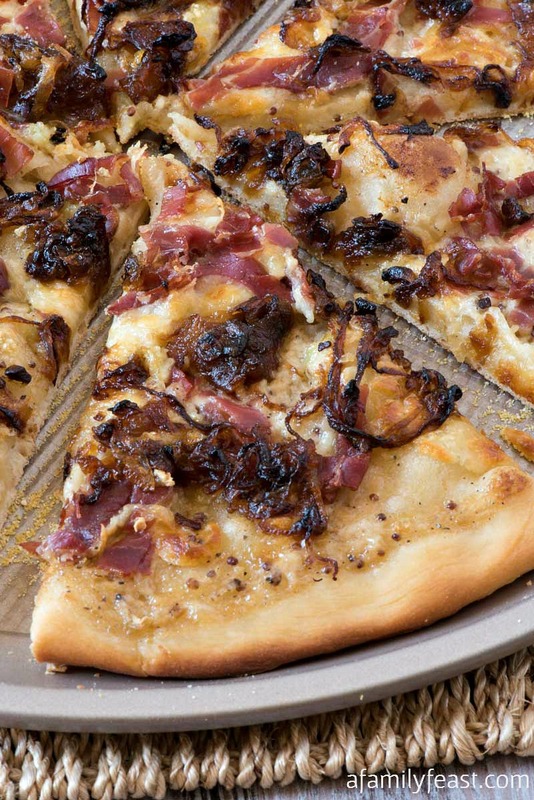 We made our White Barbecue Pizza with Prosciutto and Caramelized Onions on the OXO Non-Stick Pro Pizza Pan. 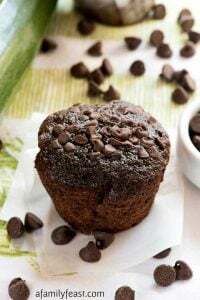 It features a micro-textured pattern to improve airflow for even baking, and it is strong and durable. You can see here how crisp and evenly browned our pizza crust baked up – and cleanup was super easy as well. 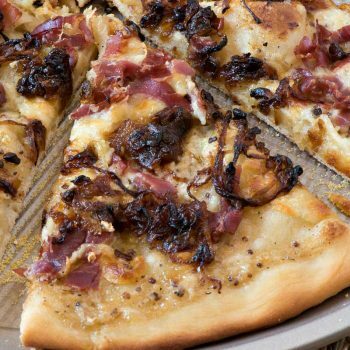 Finally, the OXO 4-inch Pizza Wheel for Non-Stick Pans easily sliced through our White Barbecue Pizza with Prosciutto and Caramelized Onions. That clear plastic wheel was surprisingly sharp, but it won’t damage your non-stick pans, and the slick surface prevents cheese from sticking. OXO is dedicated to providing innovative consumer products that make everyday living easier. For more information about the products featured in today’s post, visit OXO.com. And here’s that delicious pizza recipe! Using the straight blade in the OXO Complete Grate & Slice Set, slice the onion horizontally into thin slices. In a medium sauté pan, over medium heat, place oil, butter and sliced onions. 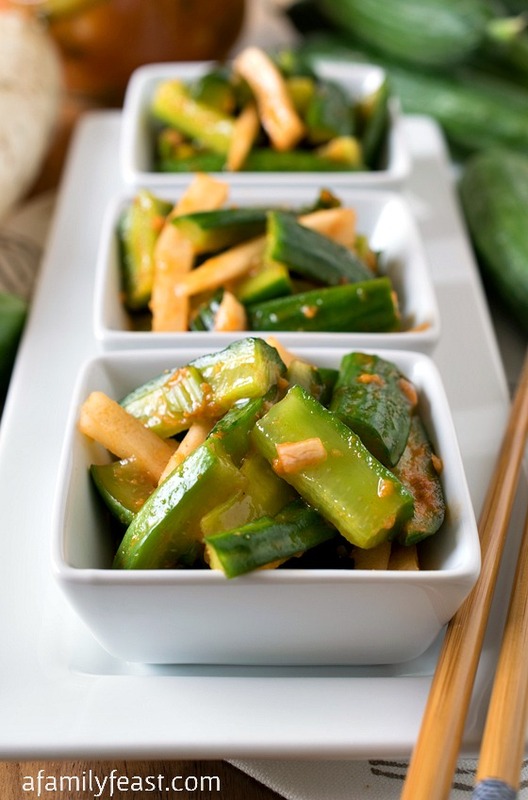 Once the mixture is hot and starting to cook, lower to medium low and cook, stirring occasionally for 35-45 minutes or until dark and caramelized. Remove from heat and cool. You should yield about 1/3 cup once cooked. While onions are cooking, remove pizza dough from the refrigerator and bring to room temperature covered. 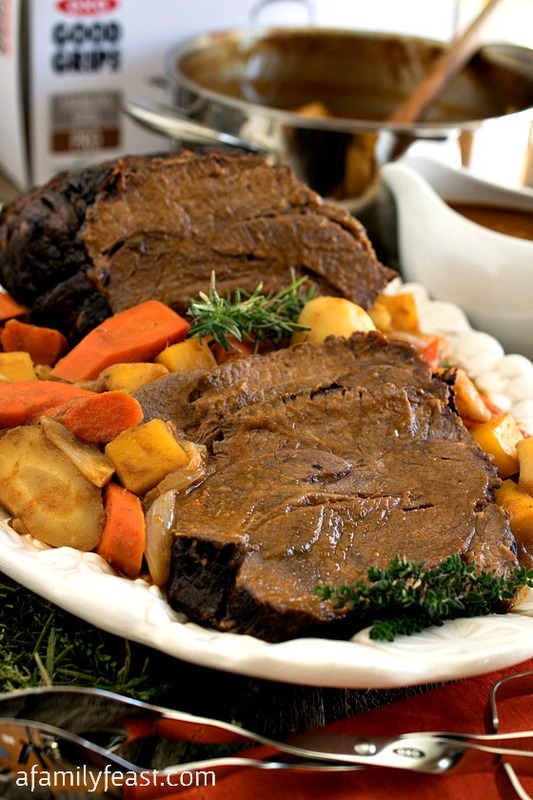 Preheat oven to 450 degrees F. and place the rack in the center of the oven. Stretch the dough out on a floured surface to 16” round. Sprinkle corn meal on the OXO’s Non-Stick Pro Pizza Pan and lay the stretched dough onto the pan over the corn meal. The sides will shrink in to the edges of the pan, which is 15”. 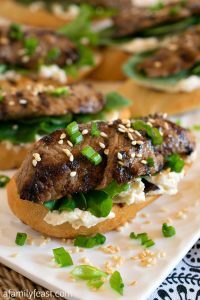 Spread the White Barbecue Sauce to within about a half-inch from the edge of the dough. Spread the garlic over the cheese. 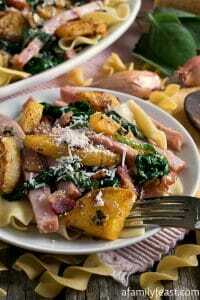 Lay the prosciutto over the cheese. Finally spread the caramelized onions over the top. Place pizza pan on the center rack and bake for about 14 minutes or until the bottom has browned and the top is hot and bubbly. 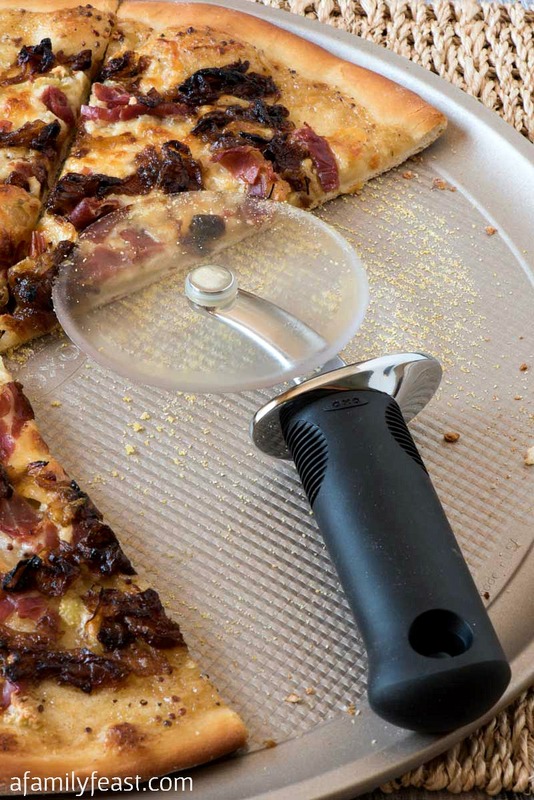 Cut pizza into slices with the OXO 4-inch Pizza Wheel. Serve immediately. 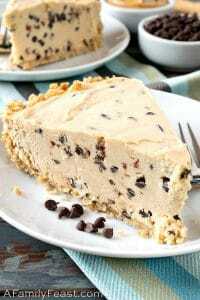 As a vegan, I’d still make this as it looks yummy. I’d just substitute the cheese for a vegan cheese, omit the meat and make the white barbecue sauce with vegan mayonnaise. What a great recipe though. May just try this over the weekend. Lovely photos too! White barbecue sauce!!!! Oh my, that sounds amazing! I didn’t even know that was a thing. 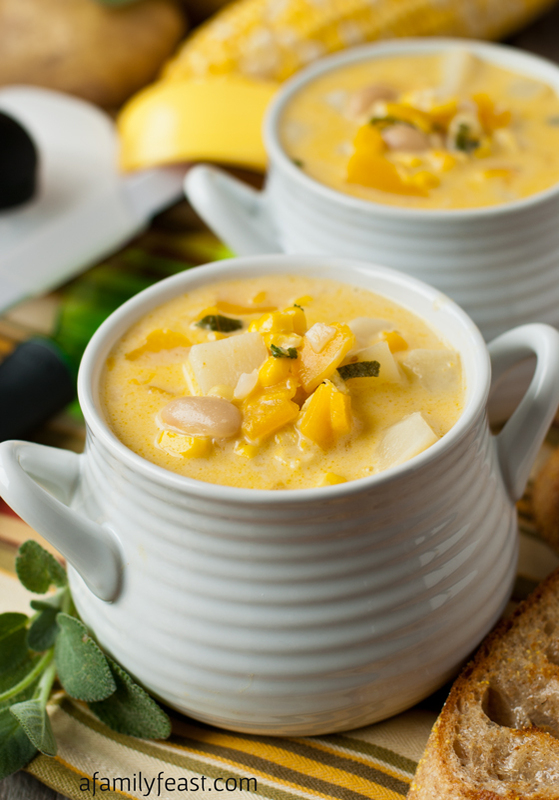 It looks PERFECT paired with pizza! !